Our Top-Stitch buyers have sourced the most appealing and attractive gifts which can be embroidered with names, monograms or messages to create a truly personal gift to treasure for years to come. 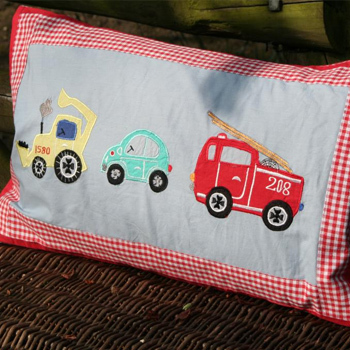 Top Stitch boasts offers a fantastic varied range of personalised baby gifts. 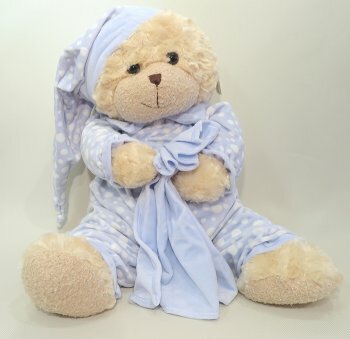 Our selection of gifts include blankets, cuddle towels, baby robes, accessories and other personalised baby gifts. 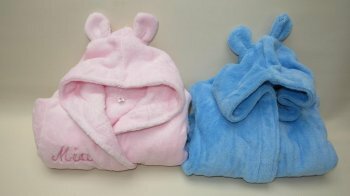 The care and attention put into all of the personalised baby items we have for sale online are unrivalled in the UK. 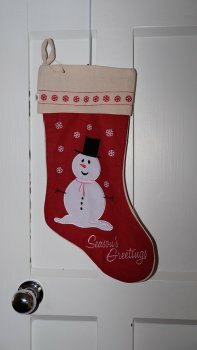 All of our gifts can be embroidered with top quality embroidery to create a personalised gift for baby. 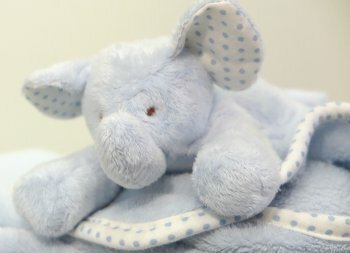 Welcome the newborn baby boy or girl to the world with a unique and memorable personalised baby gift! 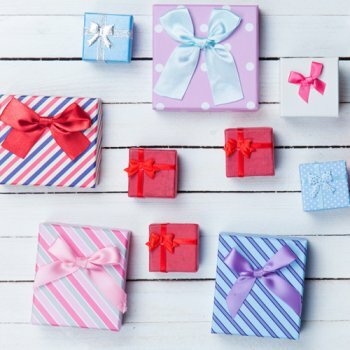 All our gifts are beautifully gift wrapped in cellophane and tied with our distinctive Top- Stitch ribbon. Box packaging is available upon request. Simply click on the category you require- babies, kids…. 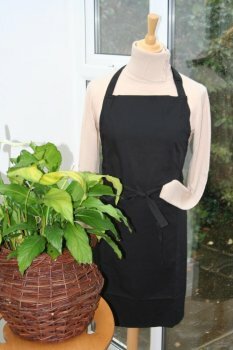 Enter the Aladdin’s cave which is Top-Stitch and leave the rest to us!! 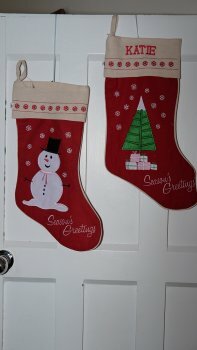 Our aim is to create that unique gift especially for you. A monogrammed towel makes a fantastic birthday, wedding or anniversary gift. Choose from bath towels, hand towels, sheets and face cloths. A pretty baby blanket personalised with soft embroidery is a fantastic gift for a newborn . 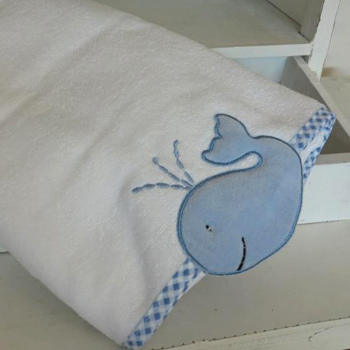 Our blankets can all be embroidered with baby's name to make a truly unique present. Order an embroidered baby blanket to give a memorable, personalised baby gift for the little new comer. Our range of charming toys and accessories are hugely tempting baby gifts. 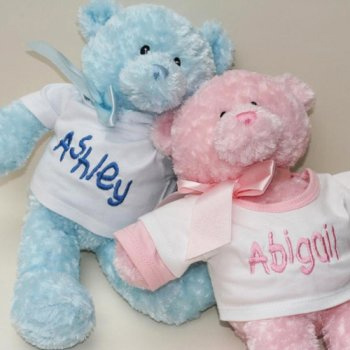 Why not personalise a bear, embroider a musical teddy, add baby's name into the cutest keepsake box to create a truly unique gift for baby. Take a look at our fun selection of accessories which can all be personalised with top quality embroidery. Bathtime is fun when you use a personalised hooded towel to rub baby dry. 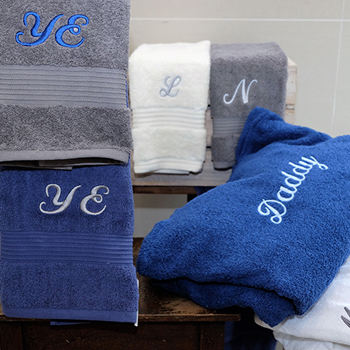 Our selection of cuddly hooded towels can all be personalised with a name on the hood in a colour matching the towel. 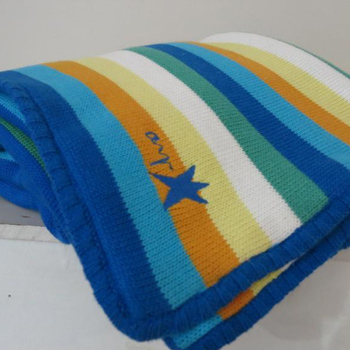 Baby's specially embroidered, personal towel will be a hit gift with all young Mums. Personalised baby robes are a fantastic gift, ideal for use at home, at the swimming pool or at the beach. 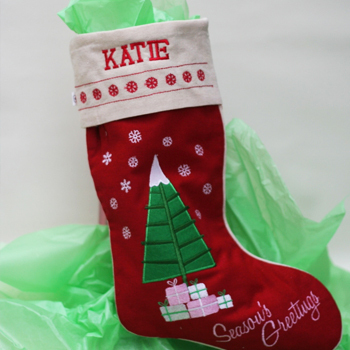 An embroidered name is a great addition and creates a uniquely personal gift which is sure to charm Mum, Dad and baby too! An absolute must for that extra special gift, embroidered with baby's name and date of birth, bringing a little bit of old time class into the nursery. We can embroider a pristine white cushion, personalise the antique cushion or add baby's name to one of our more trendy cushions. A beautifully personalised cushion is a stunning gift which is sure to become a lasting keepsake.